Adsorptive polyethesulfone (PES) membranes were prepared by intercalation of powder activated carbon (PAC) with and without functionalization. Accordingly, PAC was aminated with 1,5-diamino-2-methylpentane, and the physicochemical properties of the functionalized PAC were analyzed. Intercalation of PAC within the PES scaffold changed the porosity and mean pore size of the aminated membrane (AC-NH2) from 52.6% to 92.5% and from 22.6 nm to 3.5 nm, respectively. The effect of temperature on the performance of the modified membranes was monitored by the flux and chemical oxygen demand (COD) removal of leachate. 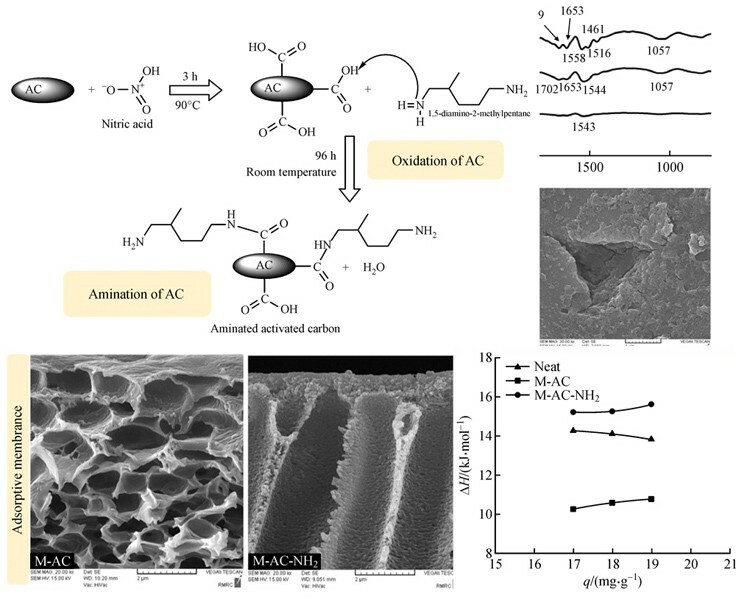 At ambient temperature, the COD removal of the neat, AC-containing, and AC-NH2 membranes was 47%, 52%, and 58.5%, respectively. A similar increment was obtained for the membrane flux, which was due to the synergistic effect of the high porosity and large number of hydrophilic functional groups. The experimental leachate adsorption data were analyzed by Langmuir, Freundlich, and Dubinin-Radushkevich isotherm models. For all membranes, the significant thermodynamic parameters (ΔH, ΔS, and ΔG) were calculated and compared. The isosteric heat of adsorption was lower than 80 kJ∙mol–1, indicating that the interaction between the membranes and the leachate is mainly physical, involving weak van der Waals forces. The authors acknowledge the funding support of Babol Noshirvani University of Technology through Grant program No. BNUT/389026/97. 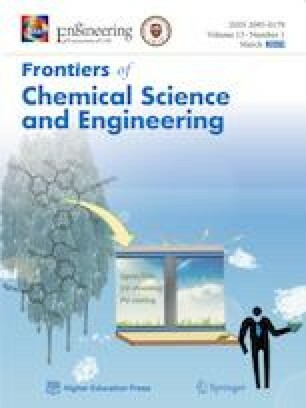 Also, the author thanks Dr. Soodabeh Khalili for her technical advice and extensive editing of the manuscript, and Prof. Mohsen Jahanshahi as a head of Nanotechnology Research Institute and Marieh Nazoktabar for providing facilities. Moreover, the authors have declared no conflict of interest.